Meet Puritan and Alexander. They are community health volunteers (CHVs), part of an important network across Kenya working to provide health education and services to families who may not otherwise have access to care. 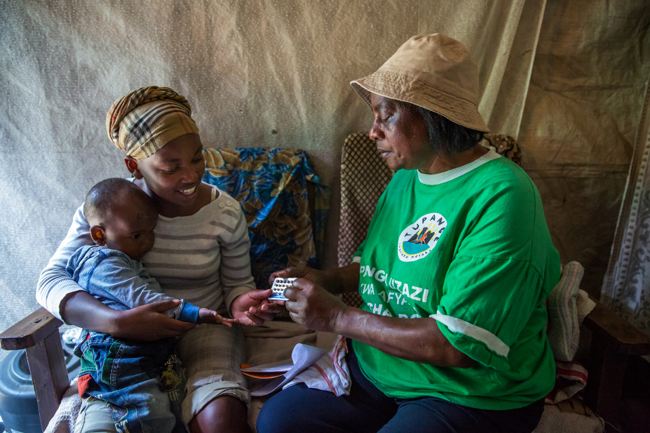 CHVs have been vital in creating demand for family planning at the community level, as well as linking women and families to the health system. 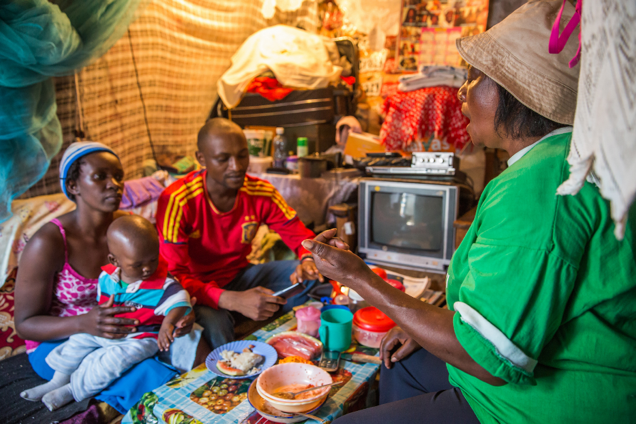 In Kenya, CHVs are selected by their neighbors and live in the areas they serve. For Puritan and Alexander, these communities are starkly different. 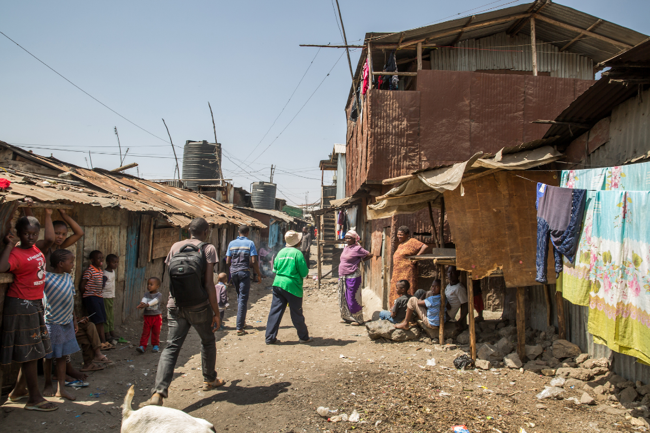 Puritan lives in Lunga Lunga, a densely populated informal settlement in Nairobi. Alexander is from Tharaka Nithi, a rural county in Eastern Kenya, where many must travel long distances to reach a health facility. 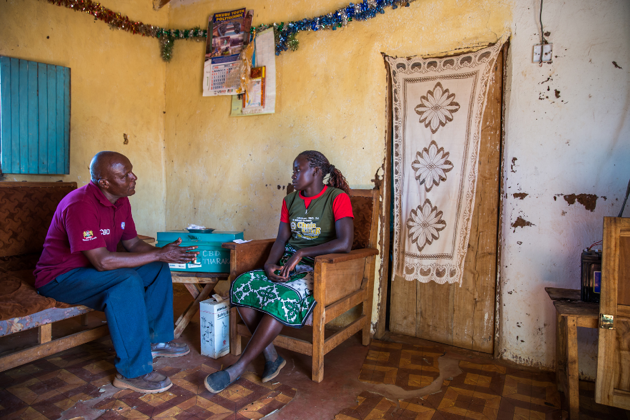 But both go door-to-door, discussing the health benefits of family planning, dispelling myths and misconceptions, and counseling women and their partners to find a contraceptive method of their choice. The CHVs recognize the importance of family planning for the health of women and children, and the broader economic and social challenges their neighbors face in their day-to-day lives. 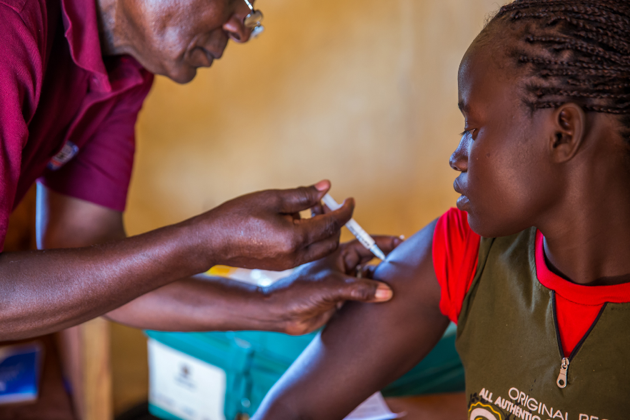 The community health volunteer model is not unique to Kenya, as many countries recognize the importance of linking communities with health facilities. However, significant questions remain around how to best organize and compensate CHVs. In Kenya the national government recommends that CHVs should be paid, but most are not, which makes retention a challenge. Given its impact, the sustainability of the CHV model is an issue Kenya must address as it looks to consolidate and build on recent improvements in family planning. Click through the photos below to learn more about the work of CHVs in Kenya.